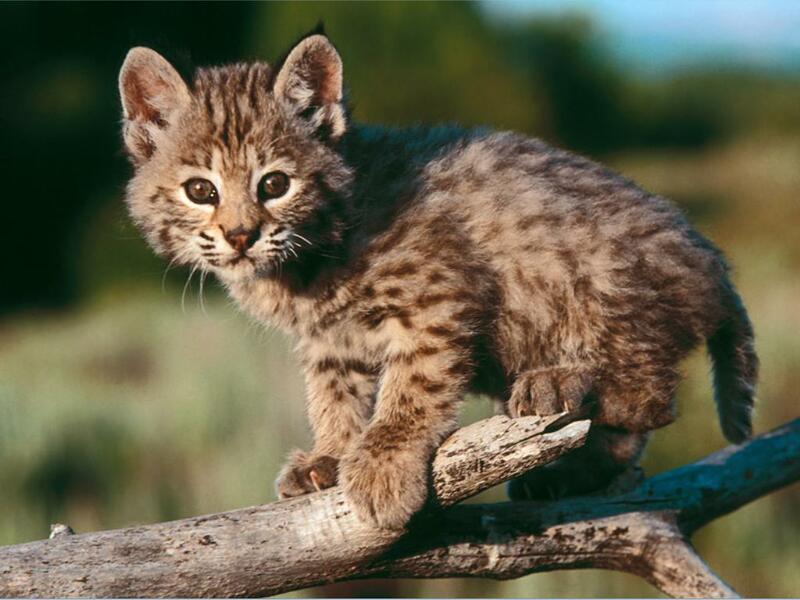 Bobcats (Lynx rufus) are the most abundant and adaptable of all wild cats in North America. Their territory extends from Northern Mexico to Southern Canada [and sometimes they like to migrate from one end of their territory to the other]. Hanging around rocky crags and under dense bushes, bobcats are comfortable in various habitats [it’s true, we are]. They’re at home in forests [especially the kind that smells good with a light dusting of snow, like around Flagstaff right now], mountainous areas [yes, like the beautiful Cascades and my forever-love Mt. Baker], deserts [oh, we love deserts, especially Death Valley] as well as brush land [those are fun too, especially with a dirt bike]. Bobcats have short ear tufts and were named for their small, bobbed tails which have a solid black ring around the end of them. Bobcats tend to “bound” when they run [we might not be so efficient running, it’s true, but we look happy doing it] much like a rabbit and although they weigh in at a mere 16-28 pounds for males and 10-18 for female [and up to 120], they can be tenacious with their hissing and spitting [and fierce when they wear metal claws]. With the exception of man and disease, bobcats have very little in the way of natural enemies [that is because we are so charming]. Hi there,I log on to your new stuff named “About other bobcats | The Roaming Bobcat” daily.Your story-telling style is witty, keep up the good work! And you can look our website about free ip proxy.